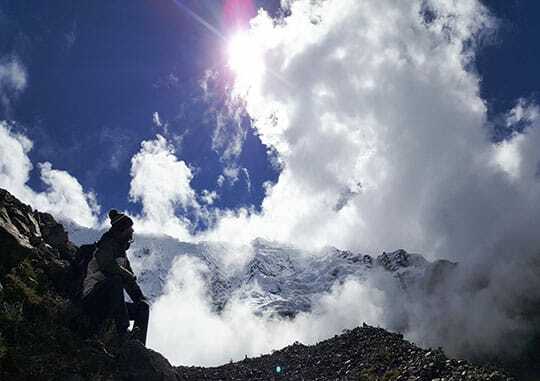 Humantay Trek is for travellers who loves the nature and and the quietness, this beautiful snow mountain is located next to Salkantay snow capped mountain, if you are already in Cusco and you do not have enough time to to any hikes around Machu Picchu, this is the perfect chosen, you can organize this trip from Cusco in one day. Cusco is located on 3,400 meters, then after 3 hours driven we will reach Saray Pampa, here is the beginning of our hike, this place is located on 3,880 Meters, from here you will walk 2 hours Up to reach the stunning Humantay Lake, along the way you will be impress by the snow capped mountain and the spectacular view. 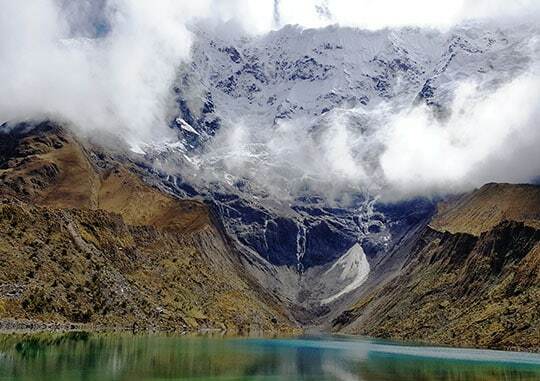 Humantay Lake is located on 4,200 Meters height, this is the highest part of our trek, if you have more time you can combine this hike with Salkantay Trek to Machu Picchu. Guide and driver will pick you up at your hotel in Cusco at around 5:00am. After 2 hours driven we will stop in Mollepata village for a short break before ascending a winding mountain road to a site called Soraypampa. Here you will begin our hike to Humantay Lake; you begin an ascent up the slopes that border the plateau. Two hours later, after making your way over the final hill, you will be stunned to see the turquoise water of the lake, made even more spectacular by the sight of the Humantay glacier looming behind it. Here you will have a chance to relax, enjoy a snack and meditate in the tranquility of this magical spot. After we will descent back to Soraypampa where we will enjoy our picnic lunch, a short nap. Then we will continue the journey to Cusco, on the way we will stop to visit the Inca ruins of Tarawasi near the town of Limatambo, Tarawasi was a Ceremonial and resting Center that was located in the beginning of the way to Chinchaysuyo, Among the main buildings of this complex we can find: The main temple, agricultural terraces, irrigation channels. In the afternoon our transport will take us back to Cusco. End of this stunning Humantay Trek. Note: You will officially meet your guide at a briefing the night before. At this meeting you are encouraged to ask any questions you may still have. Share your experience with friends! !